Christchurch now has a surplus of office space as the CBD rebuild winds down, while seismic issues have left Wellington with almost no available prime space. The stark differences between the two post-quake office markets are highlighted in Colliers International’s latest annual CBD Office Report. Colliers International Research and Consulting National Director Alan McMahon says the report paints an overall positive picture of New Zealand’s office markets. “Office sales are much stronger than the other commercial property sectors, and investor confidence remains high. There is plenty of buoyancy in the market,” he says. “Provisional figures show $1.5 billion of office transactions of $5 million or more took place in the year to June 2017, outpacing both the industrial and retail sectors. McMahon says as Christchurch’s CBD rebuild moderates, the rate of new build construction is starting to ease. McMahon says a number of private and public sector tenants have settled into their new CBD premises recently, contributing to steady leasing activity. Investor confidence is now picking up to pre-2011 earthquake levels. Brynn Burrows, Director of Commercial Leasing for Colliers International in Christchurch, says the existing office surplus is likely to take several years to absorb. Burrows says there is strong demand from medium-to-small local firms wanting to be in the CBD. Burrows says the substantial number of office workers now in the CBD has been a welcome boost to the retail and hospitality sectors. In Wellington, the ongoing effects of last year’s quake are continuing to place pressure on the CBD office market. McMahon says there has been a significant reduction in CBD office stock and noticeable tenant churn over the last 12 months. “Virtually no prime stock is available, with only 0.1 per cent vacant, as a consequence of buildings being removed from the total stock due to seismic damage,” he says. 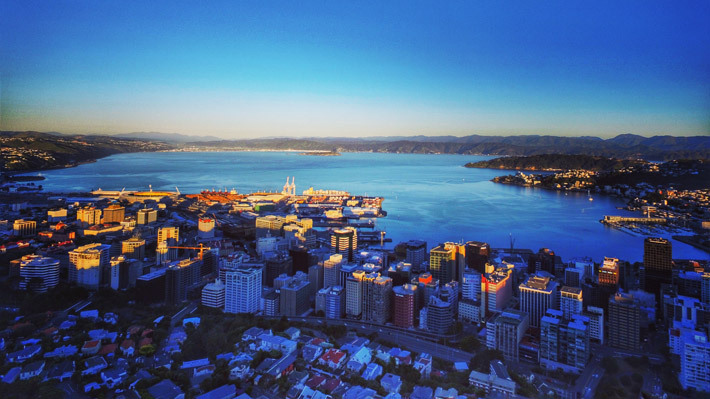 Steve Maitland, Associate Director of Commercial Leasing at Colliers International in Wellington, says tenants are finding it increasingly difficult to find the perfect option. “Once they overlay their requirements for seismic, size, location and budget there may be very few realistic properties to consider, of which one is a standout and the remaining properties require compromises,” he says. “Tenants are accelerating their processes to lock down conditional contracts on premises and then undertake due diligence in relatively short periods of time. “This gives them control over the option and blocks competition from other tenants. In Auckland, the completion of new office stock has helped to ease some of the city’s demand pressures. Auckland’s prime CBD office vacancy rate increased to 3.8 per cent in June 2017, up from 1.9 per cent a year earlier. Sam Gallaugher, Director of Auckland CBD Office Leasing at Colliers International, says positive rental growth is expected to continue. Gallaugher points to Precinct Properties’ 39,000sq m office tower development, Commercial Bay, which is already 66 per cent pre-leased as of August 2017 – well ahead of its mid-2019 completion date. The CBD office markets in the smaller centres also remain buoyant. A lack of space in Hamilton and Tauranga has triggered new office developments, while Dunedin’s overall vacancy rate has dropped to a record low 10.5 per cent.